The rain in Spain makes puddles in my brain…I don’t think that’s how that old saying goes. At any rate, the rain in Spain DOES make the wonderful Garnacha vines grow to produce some of the best table wines around. One such wine that I tried recently was from Castillo de Monseran. Monseran is part of a large organization called the Bodega San Valero. San Valero was started in 1945 with a collection of 60 grape growers and wine producers. Those 60 growers started the cooperative as a way for everyone to benefit from everyone else’s knowledge. Imagine 60 small businesses pooling their information to raise each other to a new level of success. That’s what they did. 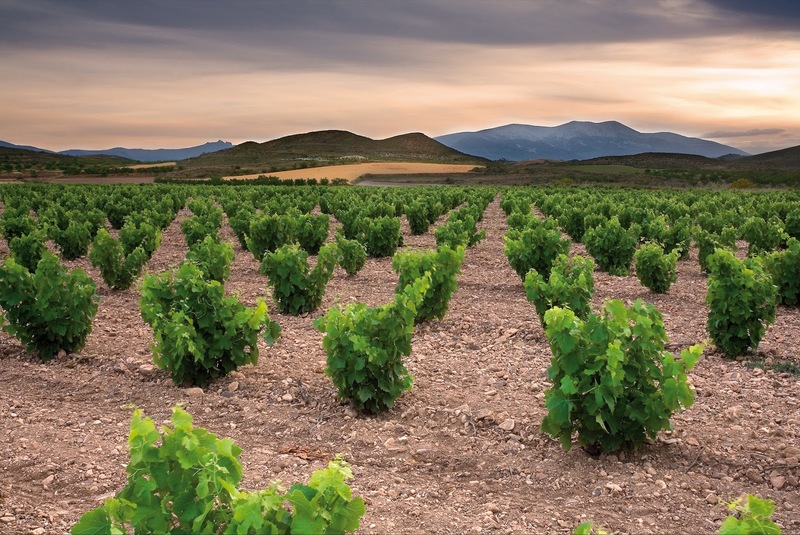 Now San Valero is home to roughly 700 grape growers all working to bring world class Spanish wines to you and me. In total, they have 4,000 hectares of vineyards to oversee, maintain, and choose from when it’s wine making time. That is nearly 10,000 acres of grapes. A great number of these vines are grown in bush vines instead of trellised vines like what you see in most viticultural areas. No long rows of continuous vines, just big fat grape bushes. I’ll include a photo at the bottom so you can see what I’m talking about. It looks so cool. One of the best growing grapes in this area is Garnacha. The French picked up some of these vines, took them home, planted them, and called them Grenache. They make Rhone wines and the famous Chateauneuf du Pape wines from this grape. It was also thought to be the first grapes that were planted in Australia when it was being colonized after the initial rush of convicts were sent there. 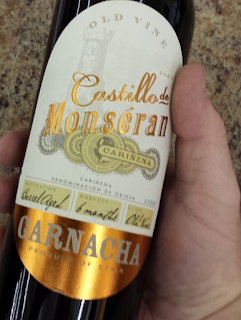 Castillo de Monseran is made by Hugh Ryman with the help of Jesus Prieto from San Valero’s wine making crew. What they were going for with this wine was Old World meets New World and they accomplished that quite deftly. This Garnacha is harvested, fermented, and aged in small oak barrels for a short period of time. The grape juice is bottled within a year of its squish date, or maceration date for those that prefer proper terminology. Doing this maintains a high level of freshness in the wine. That’s the New World part of the wine. The Old World part is the flavor profile that this wine exhibits. With the main flavors coming through as sloe, red currant, and a hint of herbs, the wine stays true to its origins of the Spanish countryside. It has a medium tannin level due to the addition of about 10% of Mazuela grape juice. It gives the lighter Garnacha a little deeper color and heavier taste. Even with a heavyweight in the mix, it is wonderfully easy to drink and it should be consumed sooner rather than trying to cellar it for later. This Old Vine Garnacha has enough complexity to not be a plain old table wine, but it’s simple enough to pair with nearly any dish you would want to have it with. I had mine with beef tips and au jus with chive laden mashed potatoes over sour dough toast. It was perfect.